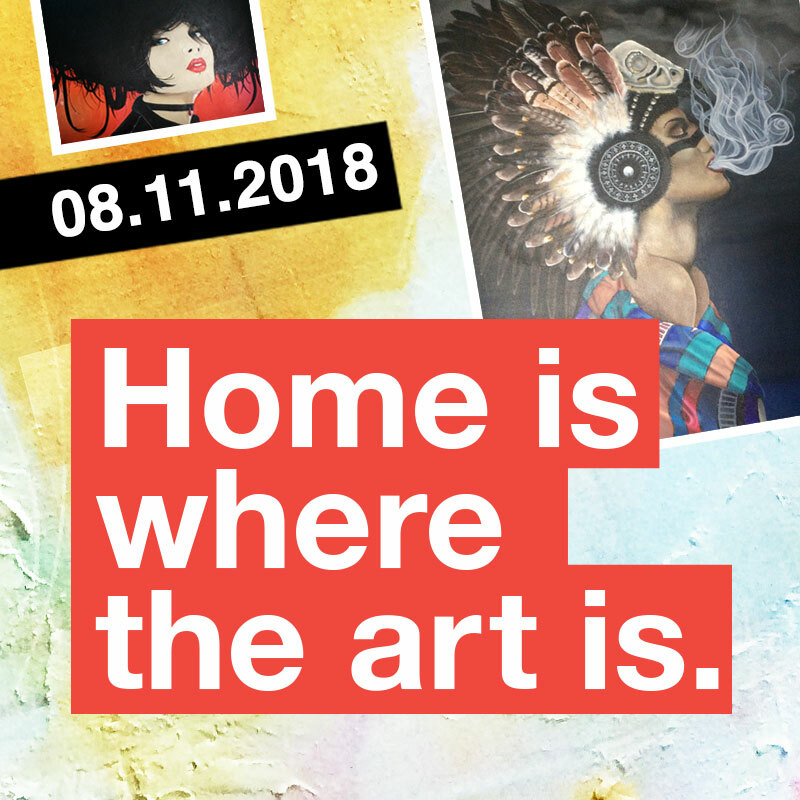 HOME IS WHERE THE ART IS 2: ANOTHER AUCTION OF CONTEMPORARY ARTWORK FROM BRISTOL’S BEST. Bristol enjoys a uniquely diverse culture of music and art and is home to some of the best visual artists working in the UK today. But Bristol also has one of the highest homeless populations in the country. Painters are painting, and the homeless need homes. Once again we’ve joined forces with Help Bristols Homeless to raise much needed funds. Bristol’s artists have answered the call and donated more than 70 pieces. These works, including original paintings and rare limited edition prints will be offered for sale to the highest bidder, with all proceeds going to fund the conversion of cargo containers into new homes. The evening will include food and drink, with a soundtrack provided by Bristol DJs. 1 in 170 people in Bristol are homeless. 2,600 are in temporary accommodation. 135 slept rough on our city’s streets last night. We believe a home is a RIGHT, not a privilege. We believe that the best way to help homeless people is to give them a secure base from which to rebuild their lives. We’re challenging homelessness in Bristol one bed at a time, by galvanising our community – we’re building homes for the homeless by upcycling transport containers and decommissioned vehicles. We need £10,000 to convert each container. We need £100,000 to create a container village in South Bristol, and the same for North Bristol.